Every Ragon House plate is illustrated with a Classic Design. 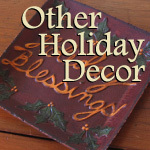 This Holiday Blessings plate is no exception. 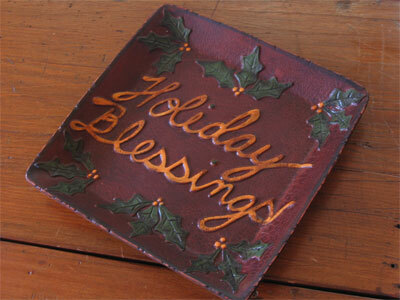 The hand-painted Redware Replica Plate measures 10" across. The artist's touch is apparent in this design and worthy of being a focal point in your home. This plate is for display only.